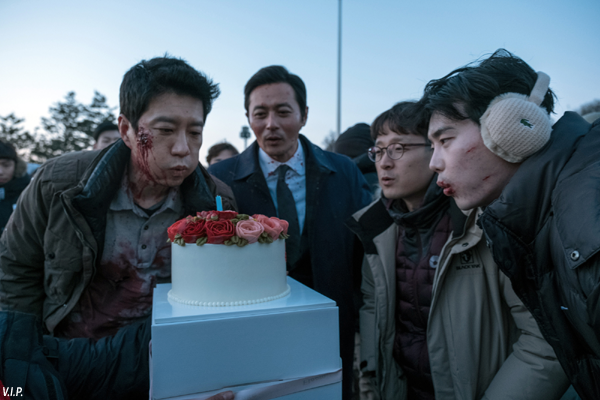 Warner Bros. Korea Wraps Thriller V.I.P. Warner Bros. Korea wrapped the three month production of upcoming North Korea thriller V.I.P. on January 20th. The PARK Hoon-jung film, which stars JANG Dong-gun, KIM Myung-min, PARK Hee-soon and LEE Jong-suk, began filming last year on October 22nd. In the film, the son of a high-ranking North Korean figure is suspected of a string of murders and a group of investigators, from South Korea, North Korea and the CIA, come together to track him down. In addition to Korea, the film was also shot in Thailand and Hong Kong. LEE Jong-suk, a popular TV star who has appeared in films such as Hot Young Bloods (2014), plays the suspected killer. JANG Dong-gun of Friend (2001) leads as an investigator for both the CIA and the NIS in South Korea, while KIM Myung-min of Pandora (2016) features as a South Korean investigator and PARK Hee-soon of The Suspect (2013) plays a North Korean agent. Director PARK, who wrote the scripts of RYOO Seung-wan’s The Unjust (2010) and KIM Jee-woon’s I Saw The Devil (2010), debuted as a filmmaker in 2011 with The Showdown (2011) and went on to make New World (2013) and The Tiger (2015). The film marks Warner Bros.’ third foray into the Korean market, following their successful entry last year with KIM Jee-woon’s Colonial Era spy thriller The Age of Shadows, which was the top draw over the Chuseok holiday period, and the upcoming LEE Byung-hun drama A Single Rider, which opens in theaters on February 22nd.